Marc Klaas looks fondly at a painted portrait of his daughter, Polly, and says, "If there was a fire that is the one thing I would grab." He says the painting makes the 12-year-old appear a bit older. He never had a chance to see Polly grow up. Richard Allen Davis kidnapped the girl from inside her own Petaluma home on Oct. 1, 1993. Klaas remembers the fear and anger raging through him during the 65-day search for his daughter. "Until you prove to me she’s dead I will believe she’s alive," he says. "It had to be that way, if we gave up hope there would be no hope left." Klaas for more than two months kept Polly and her story in the news and he kept pressure on police. The Bay Area was stunned by the kidnapping and desperate to find the little girl safe. Her body was later found after Davis told police where to find it. 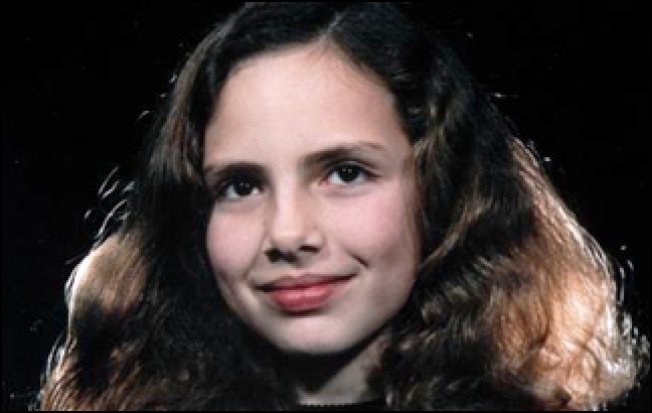 The kidnapping and murder of Polly Klaas changed Petaluma forever. Klaas would never be the same. Klaas has spent the last 20 years working to protect children and find the missing. The Klaas Kids Foundation is now a go-to group for families facing the unthinkable. "Returning calls to families is the hardest thing to do because I know the difficult journey they are about to embark on," he says. The foundation has helped 866 families. In the Bay Area the foundation has helped the families of Sierra Lamar and Michelle Le by handling investigators, media campaigns and even organizing the ground searches. Klaas says knowing where a loved one is, no matter the circumstance provides some peace. Since Polly's murder three strikes and Megan's Law helps keep violent criminals in check. Amber Alerts and interconnected police departments help investigators work faster and smarter. But Klaas said there is still a lot of work to do. The 64-year-old says Polly would be proud of her old man. "We've helped them through something," Klaas says of the work that has been done the past 20 years. "Something difficult and that's gratifying. That's giving meaning to Polly's death -- that's what that is." Klaas will mark the day that changed his life at a private event in San Francisco. He also will meet with the investigators who searched for Polly, kidnapping survivors and with families who are still searching for missing loved ones.